Although it is a long walk up the stairs to get to see the top of the hill, it is worth the walk. 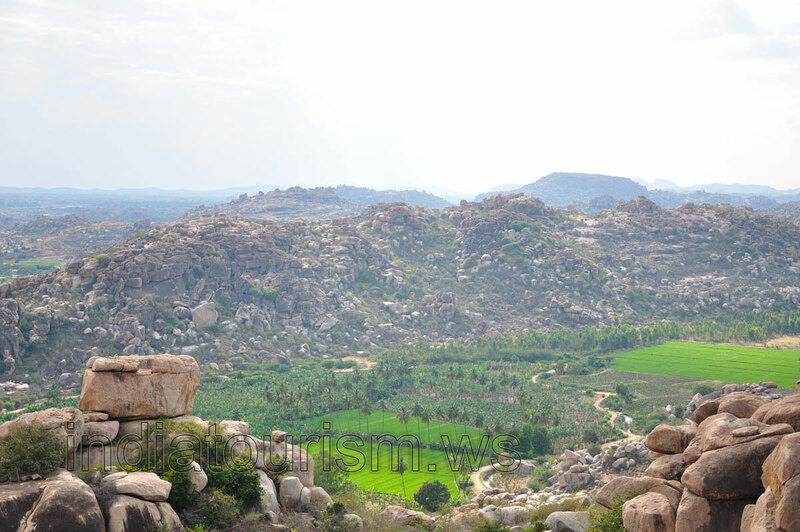 The place is very tranquil, the sight is with no doubt one of the best in Hampi. Besides you get to see some monkeys that are just wandering around. If you want you can buy some food to feed them. But we believe that they are not hungry.